"Lad mags" encourage irresponsible behaviour among young men and promote a negative image of women, a leading Conservative has said. Shadow education secretary Michael Gove linked the publications to relationship breakdown and fatherless children in a high-profile speech. He rebuked the magazines for their "instant-hit hedonism". 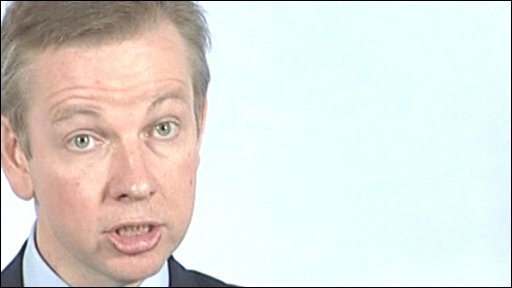 But the Periodical Publishers Association said Mr Gove's comments were "unsubstantiated". Mr Gove gave his speech on family, marriage and education at a meeting organised by the left-leaning think tank IPPR. Jonathan Shephard of the Periodical Publishers Association, which represents publishers including IPC (Nuts) and Bauer (Zoo) said: "Michael Gove raises deep and complex social issues which reach far wider than simply reading a magazine. "To try to create an unsubstantiated cause or link between these issues and men's magazines is unrealistic. " Mr Gove stressed the Conservatives' commitment to measures supporting marriage and the family - including use of the tax system - and suggested the drive to reduce teenage pregnancy should put more emphasis on making young men come to terms with their responsibilities. He quoted figures suggesting almost half of children from deprived backgrounds were failing to get a single good GCSE - a level of inequality which he branded a "national disgrace". Official statistics released by the government in response to Tory questions reveal that 45% of the poorest children - those eligible for free school meals - failed to get a GCSE at grade C or above in 2006/07, compared with 24% generally. Mr Gove said: "For all Gordon Brown's talk of creating a fair society with opportunity for all, the reality is very different. "A child from a deprived background is 193 times more likely to leave school without a single good GCSE than they are to get three As at A-level. "Reforming our schools and strengthening our families is the key to building a better, happier and fairer society."